﻿ California Hotel, Tongyeong-si | FROM $34 - SAVE ON AGODA! "Nice and comfy and convenient place." Have a question for California Hotel? 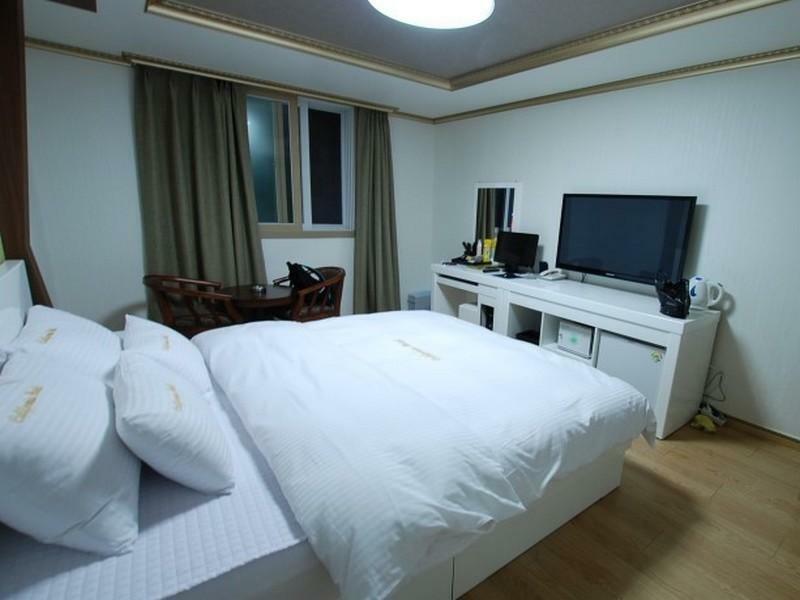 Ideal for fun and relaxation, California Hotel is located in the Jungang-dong area of Tongyeong-si. From here, guests can enjoy easy access to all that the lively city has to offer. A haven of rest and relaxation, the hotel will offer total renewal just steps away from the city's numerous attractions such as Geobukseon Turtle Ship, Nammangsan Sculpture Park. Take advantage of a wealth of unrivaled services and amenities at this Tongyeong-si hotel. The hotel provides free Wi-Fi in all rooms, daily housekeeping, private check in/check out, taxi service, 24-hour front desk to ensure our guests the greatest comfort. Hotel accommodations have been carefully appointed to the highest degree of comfort and convenience. 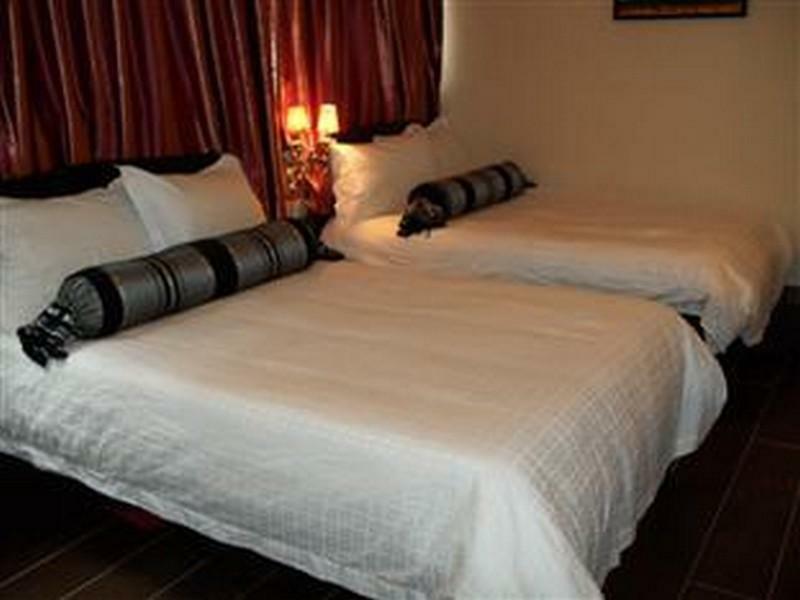 In some of the rooms, guests can find internet access – wireless, non smoking rooms, air conditioning, heating, shower. Besides, the hotel's host of recreational offerings ensures you have plenty to do during your stay. 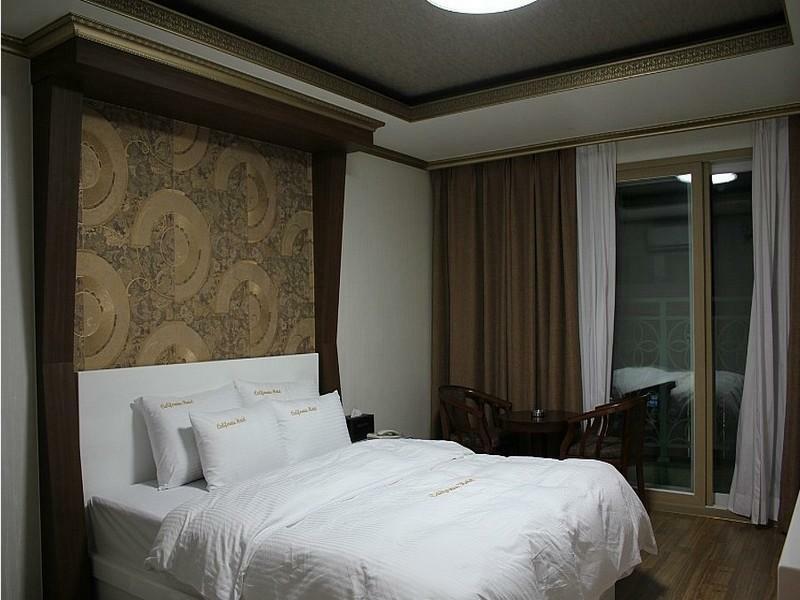 California Hotel is an ideal place of stay for travelers seeking charm, comfort and convenience in Tongyeong-si. "Walkable distance to main attractions." The best thing about this hotel is the location as it is located less than 5 minutes from the ferry terminal, restaurants and the traditional market. The room is big, spacious and comfortable and you get a good view of the harbor which of course makes it more pricey compared to other hotels. We managed to check-in earlier than the check-in time. The staff does not speak English and do not understand English as well. Therefore, in order to communicate, you may need to use Google Translate. the hotel was located close to the center of town the staff had little English but tried to help very hard to make the stay great. Five minutes walk to Tongyeong ferry terminal, great if you intend to visit Hansando, Bijindo, etc. Also walking distance to Seoho Traditional Market. If you are a little bit more adventurous you can even reach Gangguan Port on foot. It's about 20 minutes away by car from the bus terminal (approximately KRW 6,500 taxi fare). Room was pretty spacious, bright, and clean. The room was well-equipped with TV, air conditioner, mosquito repellant, refrigerator, kettle, towels, and even a mask! Staff was helpful but lacking in English. We were not impressed until we entered the room. It was clean, spacious and pleasant looking. The hotel is very generous with the beverages.There is a balcony where you can see the ferry terminal.There are many eateries nearby. For visitors intending to travel to the islands, this is a convenient place to stay in. Staff only speak little English but are very helpful. Hotel is far from bus terminal to Busan but there are lots of eateries nearby. Nice and comfy and convenient place. Quick access to ferry pier for the islands. Walkable distance to main attractions. NOTE: The review required a rating for food. Really my rating for food should be NA. There is no restaurant but there are plenty of restaurants nearby. Close to city tour gathering point. Comfortable room with seaview. Helpful staff. Easy access to tourist attractions. Awesome!! Never thought that there will be a computer in the room!!! Das California ist OK für Gäste, die auf der Durchreise sind. Die Nähe zum Hafen bedeutet eine perfekte Basis, um auf Entdeckungsreise zu den 190 vorgelagerten Inseln zu gelangen.